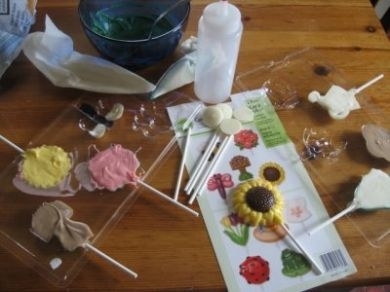 50 LOLLIPOP STICKS 7CM IN LENGTH PRODUCT OF AUSTRALIA POSTAGE IS VIA EXPRESS POST AUSTRALIA-WIDE BE SURE TO CHECK-OUT OUR LOVELY RANGE OF CHOCOLATE MOULDS & BUTTONS! BUY DIRECT FROM FOOD DISTRIBUTOR & SAVE!!! WE ARE HAPPY TO COMBINE POSTAGE where possible! Chocolate transfer sheet no.1 Daisies design A4 size. Easy to use.